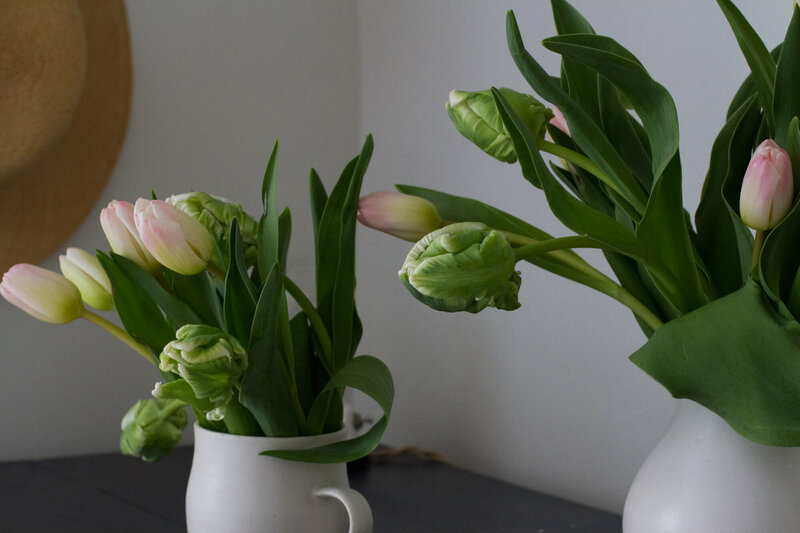 eco-friendly easter projects, a round-up. – Reading My Tea Leaves – Slow, simple, sustainable living. The colored pencil to-do list that I wrote this morning was filled with emails to send, and taxes to file, and bills to pay. There was nary an Easter egg to dye, for shame, and by the end of the day, instead of having grown shorter, the list has doubled in size. Meanwhile, outside, the magnolias have already reached peak bloom. The leaves outside our apartment windows are showing signs of coming back to life, boasting tiny lime green pom-poms on the ends of spindly branches. This morning, rain fell in heavy musical drops onto the cornice that stretches below our attic apartment windows. Mother Nature’s to-do list is getting steadily ticked off. Mine too, unforseen additions notwithstanding. Here, a gathering of a few simple and eco-friendly Easter projects I’ve worked on over the past few years. If your to-do list, like mine, is already sufficiently long, trust that none of these are too terribly time-consuming but also that the world will not stop spinning if your eggs go un-dyed or your wheatgrass goes unplanted. (Besides, nature does eggs best anyway.) 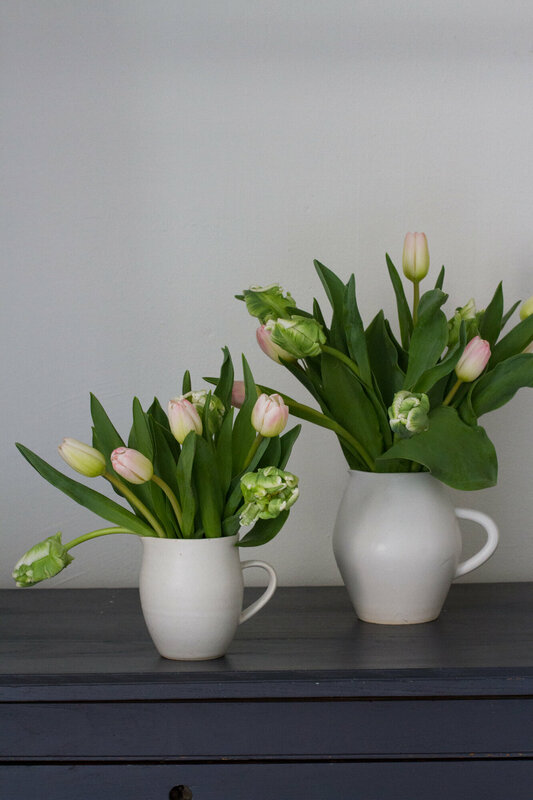 Tulips plunked in a pitcher are as festive as any bowl of eggs and a moment of rest beats harried DIYs every time. 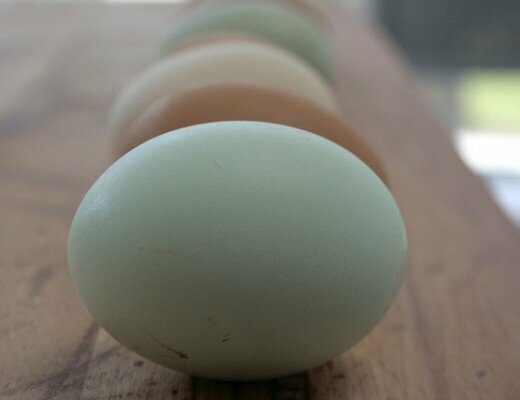 Wheatgrass planted in eggs or anywhere. 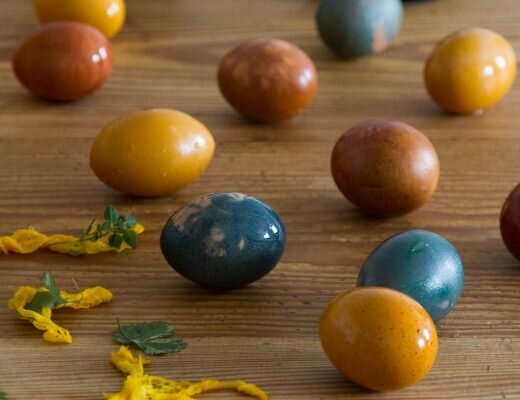 Naturally dyed blue, and pastel, and jewel-toned eggs. While you’re at it, colorful string and spice sacks. A string bag for collecting eggs. 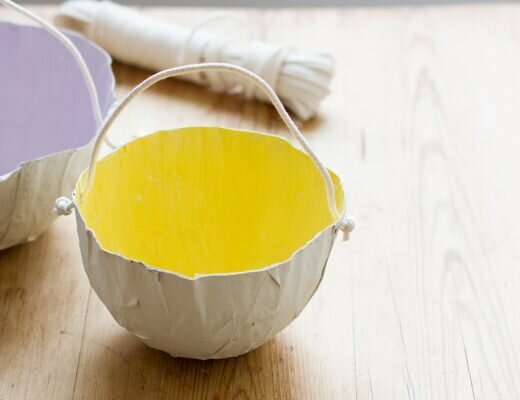 Paper baskets for gathering sweets along a bunny trail. Tomorrow, stay tuned for a quick project for tucking into baskets—finished or supplies only. 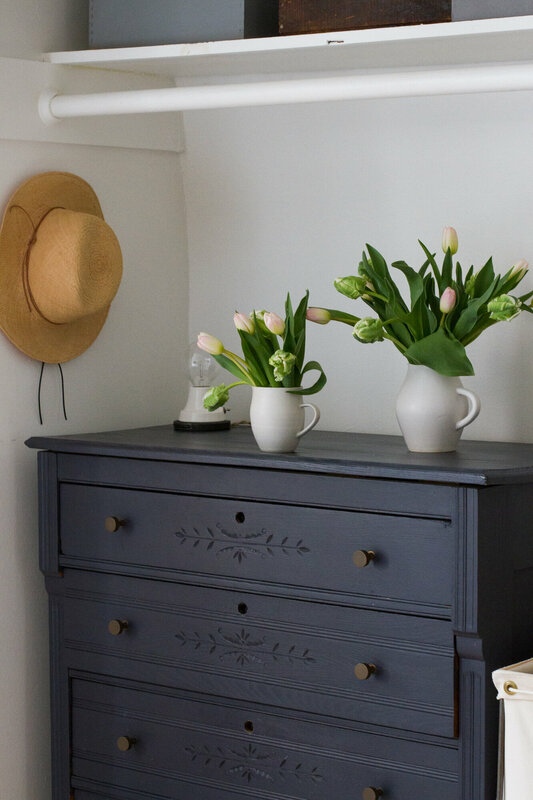 See also: Simple gifts for simple baskets. Ahh these are awesome ideas. Thanks for sharing! Love these ideas! Quick question–where did you find those pitchers in the last photo? Thanks! The larger of the two is from Notary Ceramics and the smaller one is from Sheldon Ceramics!